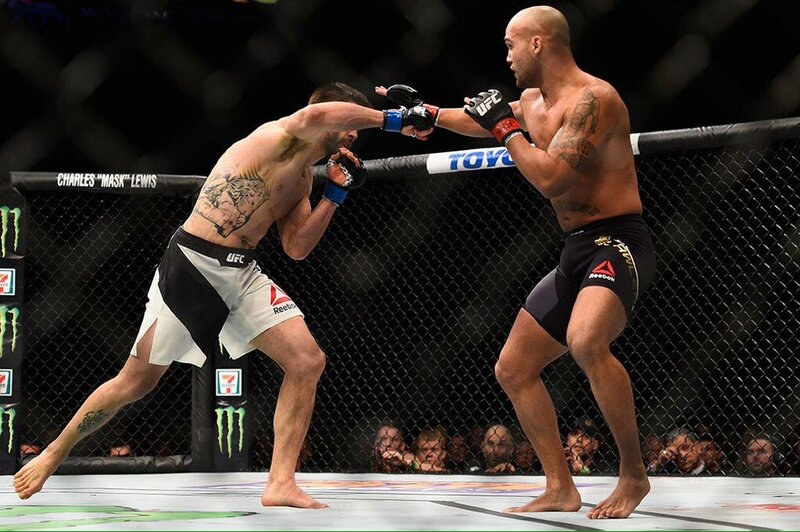 UFC kicked off the new year with a colossal bang as Robbie Lawler and Carlos Condit waged war and raised the bar incredibly high with a thrilling Welterweight title fight in Las Vegas. "Ruthless" walked away with his reign in tact via a split decision victory, edging out a game challenger helped on by a late, urgent flurry in a fight packed with wild exchanges. It concluded the first event of the year which also featured Stipe Miocic making quick work of Andrei Arlovski to set his sights on the Heavyweight Championship, eyeing up the winner of the Werdum-Velasquez rematch. 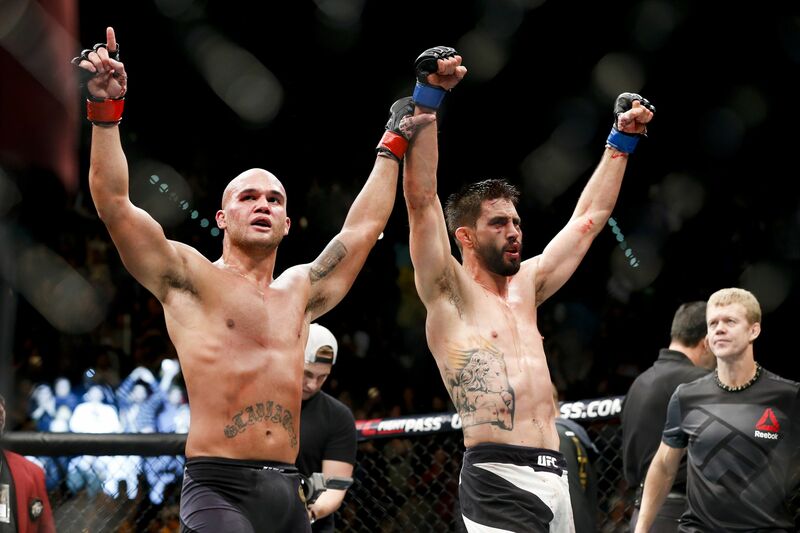 But the night belongs to both Robbie Lawler and Carlos Condit, who typified the true warrior spirit and unbreakable win that the sport entails. The Natural Born Killer created some early trouble for the champion, despite being pushed up against the cage as Lawler pressed the pace and cut the Octagon off early. 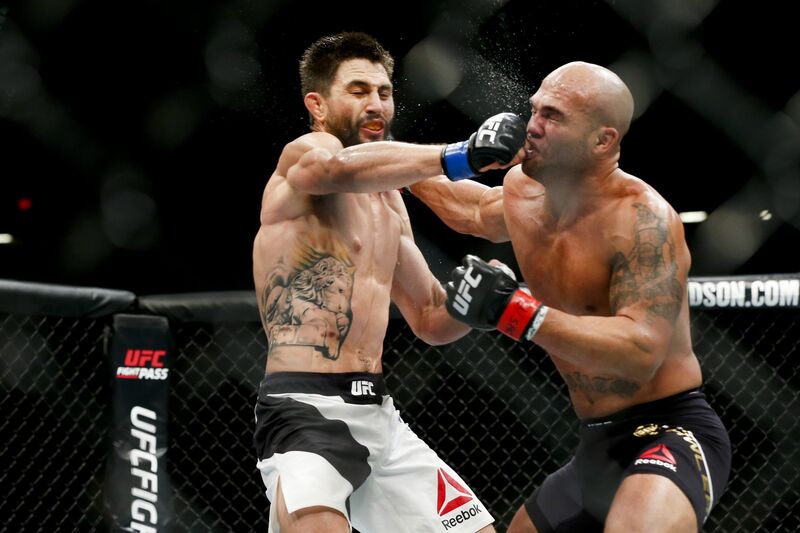 Soon though, Condit would dig in to his arsenal of rangy kicks and made it a tricky start for the Welterweight king. The first round also saw Lawler get tagged with a big shot taking him off balance and seeing him stumble across the canvas. But he would recover, for there's little that can stop the ferocious heart of Robbie Lawler at this moment in time. In fact, he would return the favour landing the biggest shot of the fight so far, cleanly connecting on Condit's chin as he left it out in the air during the numerous wild exchanges throughout the fight. He followed him to the ground initially, but eventually stood back up and fought out the rest of the round. Round three was even harder to call, with Lawler throwing some big shots but perhaps not too many of them while he was the recipient of some tough inside leg kicks which took him off balance, along with some kicks to the body. In the championship rounds,both combatants would really up the ante. Carlos' volume appeared to overwhelm the champion but he was not going down without a fight, even smiling as he was hit with shots up against the fence and asking his opponent to bring more. They both wildly traded to set up for an epic final round. Knowing that he may not have done enough in the judges scorecards, Robbie Lawler came out with a sense of urgency and gave it everything he could to retain his prized belt. Landing lots on Condit and engaging in wild exchanges, the fans in Vegas stood on their feet in awe and disbelief of the carnage that ensued. With the minutes quickly ticking down, Condit found himself in trouble more than once although his counters would make for spectacular action. As that soon turned to seconds remaining, they finished off going at each other and left all they had in the Octagon, both standing up against the fence when the fight had ended in exhaustion. It's nights like these where you don't want to be a judge in the sport. It was just as hard to call for the Nevada State representatives who scored it a razor close split decision in favour of the champion. Although many fans scored it for Condit, it was the Ruthless One who walked away with the belt on the night. An absolutely spectacular fight and one that could be the Fight of the Year, even if the year has only just begun.